Monday: Jan Drexler shared her journey to publication and shared her research process that includes ancestors! 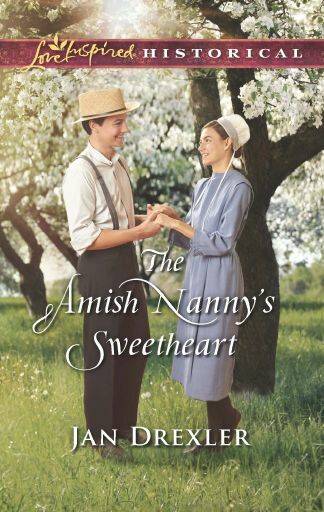 Mary Preston is the winner of a copy of "The Amish Nanny's Sweetheart." And Jackie Layton is the winner of a 5 page critique! 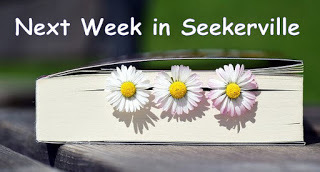 Wednesday: Debby Giusti invited Southern mystery writer and friend of Seekerville, Larissa Reinhart, to guest blog with us. Larissa talked about "Mysteries and Thrillers: Making It Personal." The winner of an ebook of her newly released Cherry Tucker/Maizie Albright Christmas Mystery novella, A VIEW TO A CHILL, is Jackie! Friday: Winnie Griggs made us think back and remember the basics of writing. Lessons we must never forget if we want to write unforgettable stories. The winner of their choice of any of Winnie's backlist books is Phyllis Wheeler. How can we navigate the ups and downs and sideways-es of the writer life without losing our minds? Some tips on managing your expectations and keeping yourself grounded. Wednesday: Melanie Dickerson joins us for her very first post as a Seekerville regular! Today she discusses Conflict and Tension, Part 1, the main elements of any novel! Conflict and Tension are essential elements to any story. But how do you create enough? Guest Carla Laureano joins us on Friday with a fun (and funny) look at The Care and Feeding of Authors. Seekerville News! 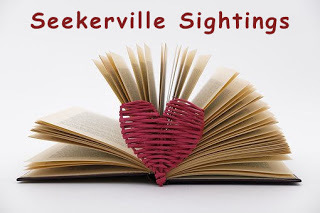 Seekerville was placed at #78 on the top 100 Writing Blogs! Thank you so much "Feedspot" for this wonderful honor! We'll gladly accept! Jan Drexler is excited to share her latest release with the world. 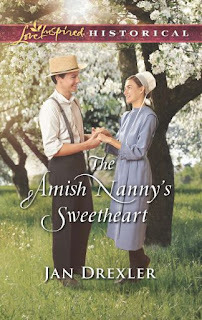 Her March release, The Amish Nanny's Sweetheart (Amish Country Brides) is available for preorder. Looking forward to March! Click here to be among the first to reserve your copy. Okay, I'm being a bit of a night owl tonight! Congratulations to all the winners! Thanks for the great posts this week. Looking forward to next week's offerings! Thank you for being so faithful! Up late pounding the keys... Congrats to all winners and looking forward to a fabulous week ahead! Thank you for my win. I am thrilled. Details sent through. Just got my morning writing done and had to come and see the Weekend Edition... Hello Seekers and Villagers and if you're new here... Welcome!!! I've got to send cookies to NYC to my two boys (who are grown men, of course) because baking moms love to make cookies and send a taste of home to the crazy, crowd-filled streets of Manhattan! So I must go bake... then watch a cute kid's basketball game... and then back home this afternoon... maybe another writing sprint? But if not, some fun family time! Congratulations to all winners and thanks for another great week of chatting, learning and writing. Jan, congratulations to you, too. Sweet cover! Happy weekend everyone! Looks like there are some fun article to read for the weekend. Thanks, Audra! Jan, I agree with Jill. Your coveR is pretty! Congratulations to the winners! Looking forward to next week! Congratulations to the winners! Have a great weekend! Blessings to all! Congratulations to the winners! Have a fabulous weekend! Congratulations to all the winners and thank, you for the great week last week and the week to come. Jan, your book looks wonderful. Love that Amish hero and heroine!!! It has warmed up a bit in GA, thankfully! I hope everyone has shoveled out from the snow and is getting back to life as usual. I brought homemade biscuits and apple butter! Enjoy! CONGRATS to the winners this week! Yum, enjoying one of DEBBY'S homemade biscuits with apple butter!! Thank you, Debby! That's one of my favorites! It's spring! It's spring! Well, not really, but Mother Nature is pretending it is and I'm going to pretend right along with her. Bright sun, lots of melting ice and snow and a warm breeze -- such a treat after the frigid cold. I'm going out for a walk! Happy weekending Seekerville. Kav, it's our January thaw for real, isn't it! Waving from across the pond!!!!! Hope everyone is having a great weekend. Hoping to get some writing done. congrats to all the winners. Hoping next week will be more conducive to chiming in during the week. The Lord is good. Wilani, best of luck with your writing... and you stop in as you're able... We're here! I'm so jealous (in all the good ways)! Our flooring is 12 years old and worn. I hope to replace it this year. Enjoy! Oh, I think of all those dusty knees and spills and slide-tackles and race-car races and lego projects and bad weather picnic options and family TV movie nights!!! You've brought your old floors to life, Bethy! That we did, Ruthy! I wouldn't be surprised if the carpet curled up and walked out of here, lol! Happy Weekend everyone. I am relaxing and hope to get to some writing this weekend. Also preparing to hunker down for another winter storm that will start with freezing drizzle then become perhaps 10 inches of snow. It is certainly winter. Oh no! More snow? Stay safe, Sandy!!! And warm! Man the shovels!!!!! Perfect writing weather, my friend! We are in a blizzard warning now. Should definitely be a snow day tomorrow. Maybe I will get a lot done. LOVE the new chapter on the journey. You ladies (and the new Seekers) never cease to amaze. Isn't that wonderful??? Thank you KC! Thrilled and honored to be one of the winners! Congrats to the other winners and all the authors too! May God bless all of Seekerville! Phyllis, thank you! And we send that beautiful blessing right back to you! I'm sneaking in a viewing of When Calls the Heart's Christmas special... Yes, it's 4:00 AM and I'm getting ready to edit, but I haven't been able to see this... LOVING IT! I love sweet historicals... and sweet contemporary stories... and tidings of comfort and joy! And I'm loving this cowboy story I'm working on... Oh be still my heart. Heath Caufield... his little boy Zeke... and the first Southern belle to hit the Pine Ridge Ranch in western Idaho... Lizzie Fitzgerald... I love writing cowboys... (giggles...kind of...) but I just plain out-and-out love writing! I brought fresh Sunday Coffee!!! Jan, what a lovely cover for this story... I'm going to enjoy spring when its time comes to pass! 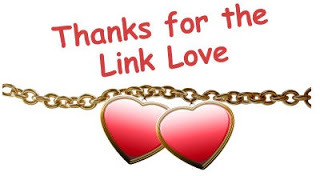 Thanks for the link on building your e-list. I'm realizing a newsletter is a great way to find new readers. I hope everyone is having a great weekend! I'm so sorry to have been absent lately. I was at the hospital all week with a family member. I hope to be back here with y'all a little more next week! Hope you are having a happy birthday, Missy! Happy Birthday, Missy! Enjoy your day! So glad the sun is shining in GA today...just for you! Happy weekend, everyone! And congrats to all of the winners. We're gearing up for gameday at our house, so I'm bringing y'all some brisket nachos and grilled wings. Dig in! Hope you enjoyed a lovely day!